FREE FORUM: SITTING ON THE PACIFIC RING OF FIRE: The Cause of Indonesia's Deadly Natural Disasters! SITTING ON THE PACIFIC RING OF FIRE: The Cause of Indonesia's Deadly Natural Disasters! By: Neneng Tarigan, November 2010. What is going to happened, if a country seats on the Pacific Ring of Fire? No country could determine where its geographical location would take place, so does in the case of Indonesia. Besides enjoying lot of benefits being born in the seismically-active “Pacific Ring of Fire, Indonesia should endure the negative impacts of it s geographical location. Yes, Indonesia had enjoyed the scenery beauty by laying amid the Ring of Fire; the largest islands country with abundant natural resources yet the only country in the world that ought to stand natural threats and disasters. The last decade has proven the facts, which natural disasters that Indonesia had to encounter, from landslides, earthquakes, volcanic eruptions, storm, thunder, tsunami and any kind of natural disasters that we can hardly find in land nations. 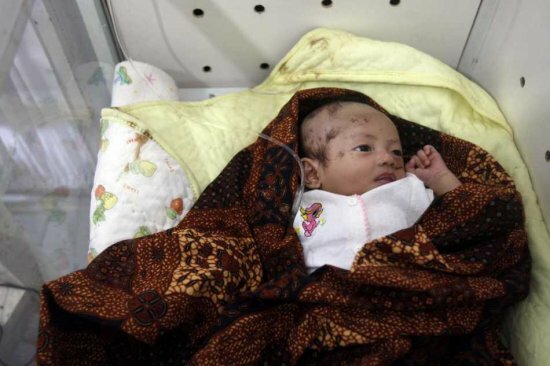 Indonesia, the sprawling archipelago of some 17,000 islands, which lies in the seismically-active “Pacific Ring of Fire”, had severely hits by devastating natural disasters since the Aceh tsunami. Here are just some examples of them. Nangroe Aceh Darussalam in the Northern Part of Sumatra, was the only province in Indonesia got the hardest hit by the December 26, 2004 Indian Ocean tsunami. About 170,000 people died, and until now, the Province is still rebuilding homes and livelihoods that had been devastated by the disaster. May 27, 2006, an earthquake rocked Yogyakarta and its surrounding areas with the power of 6.3 Richter Scale. An earthquake in May 2006 hit the provinces of Yogyakarta and Central Java island, killing more than 5,700 people and destroyed 280,000 homes. July 17, 2006, an earthquake measuring 6.8 on the Richter scale hits off the coast of West Java, Indonesia, at 15:19 local time. The earth quake center at the coordinate of 9,46’ SL – 107,19’ EL or about 120 km from Southern part of Cianjur District had caused 1 – 5 meter tide of tsunami that reached up to the area of Gunung Kidul and Bantul, Yogyakarta Region. 637 people died, 543 were wounded and 165 were still missing and unfounded; those who were missing might probably had been swept out to the ocean by the tide of the tsunami. 116.506 people homeless and held refuge, and the refugees camps scattered from West Java Province up to Central Java Province. April 14, 2008, a volcano in North Maluku was put on Alert III status following an increase in activity over the past few days. Volcanic activity at Mt. Ibu in West Halmahera regency, North Maluku is causing tectonic and volcanic earthquakes. Meanwhile, two days before the activity of Mount Ibu, another mountain (Mount Gamalama) in Ternate, North Maluku, had been showing its activity by spewing thick smoke. The mountain Gamalama is one of five volcanoes in the province which is still active. End of 2007 it had also showed an increasing activity but did not erupt.The last major eruption of Mt. Gamalama occurred in 1983. May 22, 2008, the haze which has been enveloping West Sumatra following the emergence of hot spots in a number of locations delayed the domestic and international flight schedules, not only in Indonesia but also interfered international flights schedules in Malaysia and Singapore. The hot season between April and October seldomly dried the forest and easily catch the forests into fire. May 25, 2008, the 6.7 magnitude earthquake jolted Maluku Tenggara Barat district. The epicenter was detected in 7.41 degree southern latitude and 129.6 western longitude or about 194 km Southwest of Saumlaki city. The location of the quake was about 72 km below the sea level, so that it had not trigger tsunami. August 7, 2008, a strong earthquake of 6.6 on the Richter scale, damages houses on Indonesia’s Sumbawa island. The epicenter of the quake was 51 km (31.69 miles) Northeast of Sumbawa island at a depth of 10 km. November 10, 2008 at least 4,547 houses in North Samarinda and Samarinda Ulu subdistricts, Kalimantan were inundated due to heavy rain and big flood. November 14, 2008, ten people have been killed after a landslide triggered by heavy rain crushed parts of two villages in Indonesia. The landslide destroyed 30 houses in the Cianjur district of West Java. November 14, 2008, a magnitude of 7.7 quake struck in the Gorontalo area of Sulawesi at a shallow depth of 10 km (6.2 miles). The second quake, at 1734 GMT, was 5.6 magnitude at a depth of 9.9 km (6.2 miles), 83 miles northwest of Gorontalo. No casualties reported. About 5:00 pm on September 30th, a magnitude 7.6 earthquake struck just offshore of the town of Padang in Sumatra, Indonesia. The quake toppled buildings and started many landslides, smashing homes and swallowing up entire villages. The following day, As rescue workers arrived and residents tried their best to dig out and help the survivors, another unrelated quake with a magnitude of 6.6 struck less than 1,000 km south of the original epicenter. Each of the two quakes had at least one aftershock greater than 5.0 as well. Over 1,000 people are known to have died, an additional 3,000 still missing. October 5th, 2009, officials called off the search for survivors in Padang, and were focusing on caring for the living and coordinating with international relief agencies. October 4, 2010, the remote seaside town of Wasior in West Papua province was devastated after a torrent of mud, rocks and logs struck it on Monday following torrential downpours. Hundreds of homes were swept away and numbers of people remain missing feared dead, with rescue workers unable to clear huge piles of debris due to shortages of heavy equipment. Experts said that a big landslides and flash flood will become more common in Indonesia due to a combination of climate change, land conversion, logging, mining and deforestation that contributes to landslides and flash floods. The government suggested that the main cause of the flood in Wasior was the overflowing water from two rivers that are located above Wasior. To my personal point of view, both sides were correct in this regard. At least 148 people were killed. About 123 people were still missing and the chances of them being found alive is slim. They could have been buried under rocks or swept to the sea. About 700 people were injured, 172 badly. Those killed had reportedly been drowned and swept away by the powerful waters along with uprooted trees, rocks and debris. 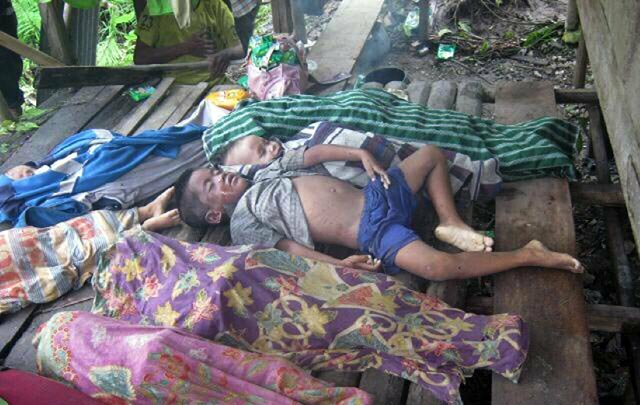 October 25 2010, a 7,2 Richter scale of earthquake hit the islands of Mentawai, Sumatera. More than 600 people died, thousands were homeless and hundreds are still missing and the chances of them being found alive is also slim. They could have been buried under rocks or swept to the sea. Children, the largest victim in most natural disasters. From September to October 2010, a volcanic Mountain in Highland Karo North Sumatera, Mount Sinabung shows its activities after 400 years in silence. Several eruptions occurred but no dead casualties reported. 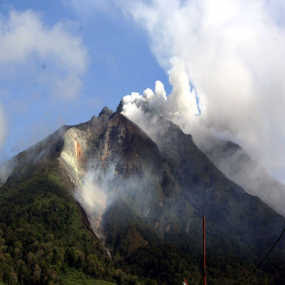 The unstoppable disaster was the serial eruptions of mount Merapi in October up to early of November 2010! The Alert status remain in tag although the authority reduce the alert area to 5 km from the peak today. Full stories were published in various titles in this website, in which you can see how horrific the results of Mount Merapi eruptions as well as the other natural disasters. We never complain living amid the Pacific Ring of Fire, we grateful to what God gives and blesses us with abundant natural resources, we just have to work harder to overcome the disasters in any form if it comes. We always pray and protect the country that we proud of, INDONESIA! Hi,Neneng.While going through this blog,i just cannot help my silent cry and tears for those lives lost ESPECIALLY CHILDREN.Your link is well written and like it much.I`ll return again to watch all the videos.Thanks for sharing.. Thanks for sharing Neneng, my heart aches for the lives lost.. We hear the news and see brief stories, but to actually get an in dept look at it, is a different story.